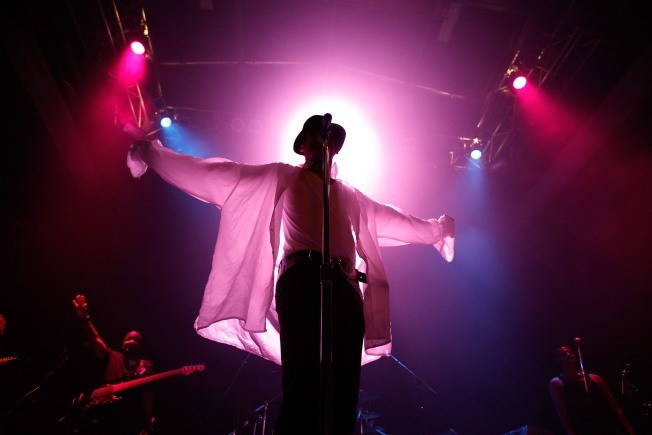 The legend of Michael Jackson lives tonight at Foxwoods. LEGENDARY NIGHT: Barbara Streisand, Diana Ross, Faith Hill, even Michael Jackson and Frank Sinatra. They're all on stage tonight at Foxwoods. How, you might ask, is that possible? The 2010 summer run of "Legends in Concert" has begun at the Fox Theater. The show is the longest running celebrity show in the world and features live recreations of superstars of yesterday and today. Tickets are $25. Tonight's show (and the "Legends" series will run all summer with different ) is at 8 p.m.
ALL ABOUT ALTERNATIVE: Looking for a little rock to liven up your Tuesday night? The answer to your search lies in New Haven tonight. Anberlin will take the stage at Toad's Place. Since forming in 2002, the band has created a loyal following on Myspace and through relentless touring. Tonight, the crowd at Toad's will hear tunes from their latest album, Deluxe Edition. Anberlin will take the stage with Story of the Year and Terrible Things. Tickets are $16. The show starts at 8 p.m.
HORA FELIZ: Add a little Latin flair to your after-work festivities. Head to Agave Grill in Hartford for a zesty, south-of-the-border style happy hour. Enjoy the restaurant's signature menu (they're particularly proud of their fresh guacamole prepared table-side), all while downing $4 house margaritas. The fun lasts from 4 p.m. to 6 p.m.